Edgartown Great Pond is Draining! 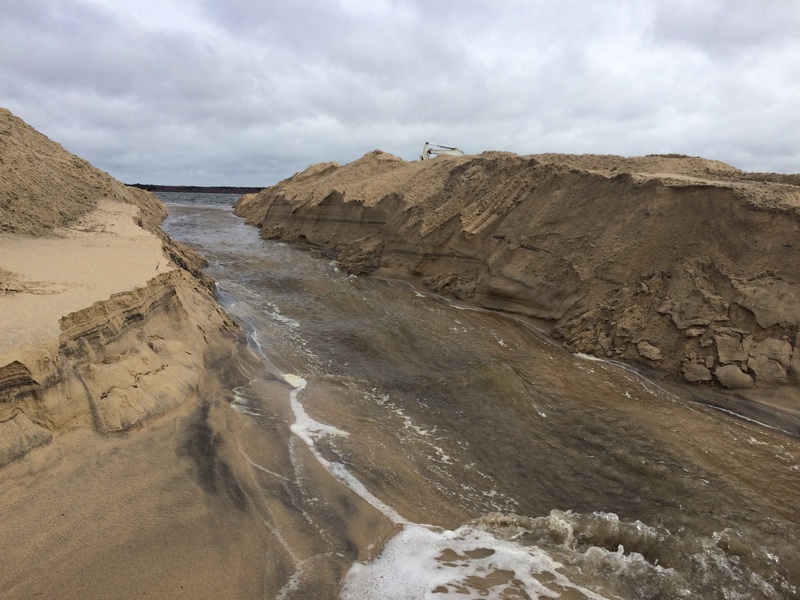 Thanks to the rapid response of GPF to the extremely elevated Pond level, Edgartown Great Pond is open and water is flowing to the ocean this morning. The excavator returned to the cut early this morning to complete the opening that was started yesterday. Rough seas and very high tides could well affect how long it stays open. At least for now, there is a strong flow of water heading into the surf. EGP is open as of 9 am March 8th, 2018. Photo by Chris Carroll.